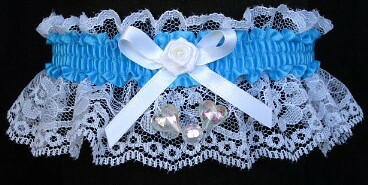 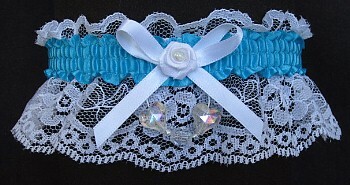 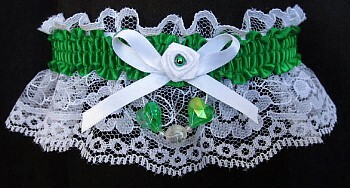 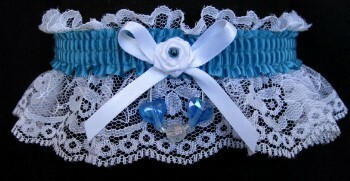 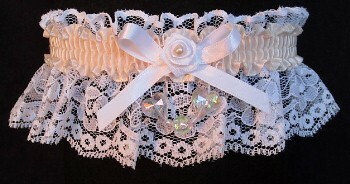 Aurora Borealis Hearts Garter for Prom Wedding Bridal Fashion on white lace. 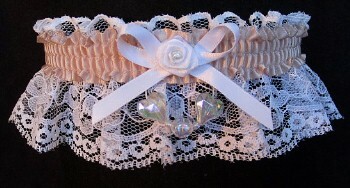 A Dash of Enchantment. 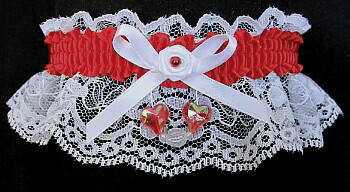 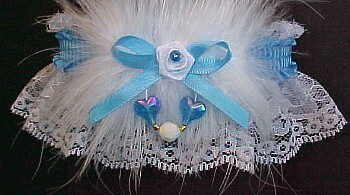 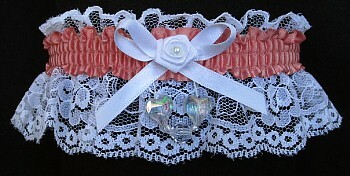 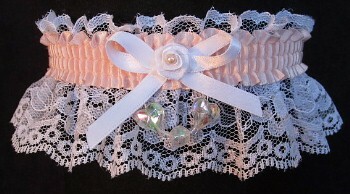 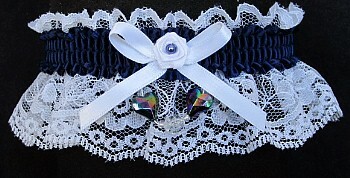 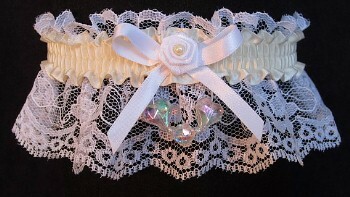 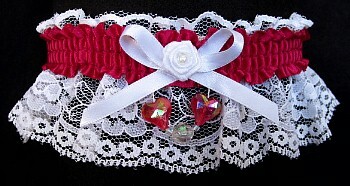 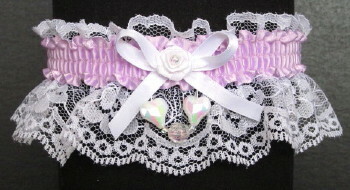 Aurora Borealis Hearts Garters in 175 colors of Satin Band or Trim to match your dress. 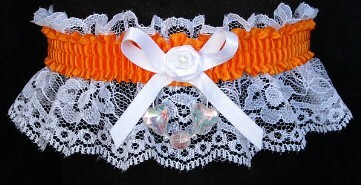 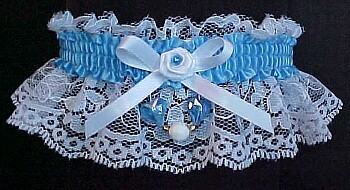 White lace garters with or without feathers.